The concept of the archive runs through this week’s readings in various permutations: as a place, a space, a metaphor, but, above all, as a construct. Conceptualizing the archive as an imagined way of ordering information causes us to question the legitimization that the term implies–this is not to suggest, of course, that the archive is false or that its contents are fabrications but rather an askance that we consider how the construction of the archive plays with notions of history and memory. Furthermore, this intersectionality gains additional weight with the realization that not only is the “archive” a construction but that it, by its very nature, also serves to (re)invent its contents; put another way, the archive’s artifacts are the invented products of the intersection of history, identity, and critical theory. As Joan Scott argues in “The Evidence of Experience”: “Experience is at once always already an interpretation and is in need of interpretation. What counts as experience is neither self-evident nor straightforward.” We must not only question the story being told by the contents of the archive but also how such a story figures in a larger narrative about history as a subject. In various ways, this notion of the archive forces us to examine our practices of sight and seeing (metaphorically at least, if not physically) and how these stances overlap with the known and the knowable. For me, one of the most valuable ideas of Akira Lippit’s book was the differentiation of two types of invisibility: things that are obscured contrasted with things that are outside the realm of sight. The archive, I think, is often associated with the former category (i.e., its contents are items that are rediscovered, reintroduced, or rescued from history) but I wonder if we should challenge the archive to assume the philosophy of the latter; I think that we must actively engage in a process whereby we question what sorts of items are not included in an archive and why this may be so. What things did we see (and thus include in the archive) and what might we have missed? Although the archive undoubtedly houses pieces that belong to history and allows us to reflect on our past, I also think that it possess the potential to spur forward-thinking as we participate in a process that endeavors to uncover new ways of seeing. 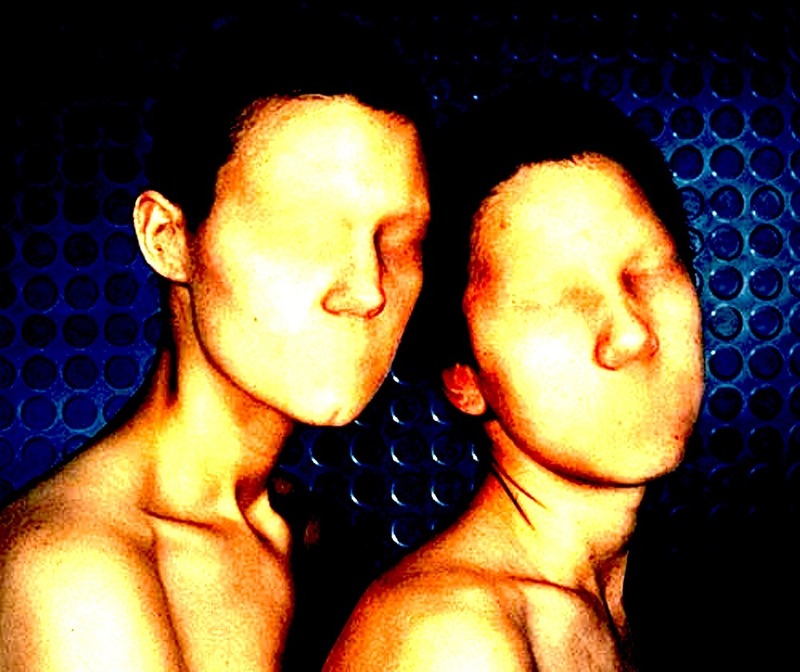 Similarly, Ann Cvetkovich speaks to Lippit’s definitions of invisibility through a discussion of trauma: according to Cvetkovich, trauma is not only bounded by the confines of domesticity but also occasionally “doesn’t appear sufficiently catastrophic because it doesn’t produce dead bodies or even, necessarily, damaged ones” (3). Through Cvetkovich’s mention of trauma we again witness the two-fold way in which something can be rendered invisible and a call for an expanded rendering of what is (or should) be seen and therefore known. I continue to think on the way in which individual/private trauma competes with collective/public trauma for a place in our memories and our archives–what is “worthy” of remembrance? What happens when our cultural/national identities are haunted by travesties that we do not have a direct relation to? Or do archives allow us to overcome this supposed gap and connect to a past that we have not experienced for ourselves? How do projects like that AIDS quilt that embody both an individual and collective identity, history, and trauma intersect with movements like PostSecret, StoryCorps, and One Hello World that represent collections of individual narratives? How is the current interest in archives situated in societies obsessed with innovation and marked by rapid cultural turnover? I must admit that my experience with horror has caused me to frame “fetish” in a psychosexual light (which, of course, likely aligns with the popular use of the term in non-academic circles). Although part of me strongly suspected that this particular iteration of the term did not apply when reading Karl Marx, reading about commodification and fetishization caused me to reflect on the underpinnings of some of the sexual practices labeled as fetish. For example, when reading through Marx’s work, I couldn’t help but recall how French philosopher Jean Baudrillard conceptualized four types of value that objects could possess in modern society: functional, transactional, symbolic, and sign. Admittedly a more complex theory than the description provided in the entry, we can momentarily consider how the functional and transactional value of items primarily relates to their usefulness while the categories of “symbolic” and “sign” are predominantly derived as a result of the objects’ relationship to other objects (sign) or to actors (symbolic). Applying the vocabulary of Baudrillard to Marx, I marvel at how we have developed a sense of sign value (for a particular object) that is entirely dependent on the (also constructed) value of other objects—and how we react to these assigned values as if they were real! Marx argues that a potential explanation for this inflated/manufactured sense of value stems from a disconnect between labor and product, with specialization of labor distancing the workers from the results of their efforts. Although we can use the classic example of a factory system to illustrate this point, I also began to wonder about the role of labor on the American version of The Amazing Race (CBS, 2001-present). Two weeks ago, I wrote about the show in relation to ideology, but I also believe that another important can be made with regard to the show’s treatment of labor. I fully admit that I am a fan of the show and enjoy watching it, but, at the same time, am also troubled by the ways in which the show often asks students to perform various types of labor. On one level we often see contestants complete some form of labor related to the everyday activities of locals as part of a challenge—here, labor is constructed as a momentary inconvenience to the racers, with their actions completely separated from the notion that some people must do these things in order to survive. The casual way in which the show introduces the notion that these activities are “a way of life” does little to acknowledge the complex set of meanings that this form of labor holds for those who must continue the work long after the Americans leave. In addition, speaking to the idea of Orientalism and labor, we might also consider how some racers understand these tasks as a chance to “go native” and value their experiences as stories that they can retell to their friends in order to amuse, amaze, or delight. Labor, then, is treated as some sort of commodity as we trade the completion of a task for progress in the game; labor is not valued in and of itself, but rather merely as a means to an end. Yet, on another level, we also see that the very presence of the racers also speaks to a form of commodification as production companies benefit from the contestants’ labor (what Mark Andrejevic called “the work of being watched”) in ways that are likely beyond the comprehension of the racers themselves. Using the quick example of reality show stars not seeing any money from royalties as a quick example, we see that individuals’ efforts on these shows are focused on a rather short-sighted prize: although they might win a million dollars (and possibly have a continued career in entertainment if everything goes according to plan), they are sacrificing their labor to a process that likely cares little about them as individuals with the end product (in this case, a television show) again divorced from any meaning making that happened during the course of the race itself. Although our initial discussion focused on The Amazing Race (per the assignment instructions), I must admit that a deeper discussion can be had regarding the commodification of secrets. When I first began my studies in Annenberg, I worked on a piece for the Norman Lear Center on the implications of a website called PostSecret. (PostSecret, a community art project started by Frank Warren in 2005, represents a fairly simple concept: individuals anonymously divulge a secret on a postcard frequently adorned with a related image, which is then published on the Internet.) Over the years I have continued to return to this issue/concept and have begun to wonder how, in this so-called Age of Information, we have learned to commodify secrets. We can talk about corporate espionage as one form of this—or even celebrity scandal—and I worry that, in our quest for knowledge/power, we have forgotten that all of these secrets represent real lives, identities, and emotions. In our post, Shannon raised the idea that individuals can fetishize their secrets but reading Marx for this week also caused me to consider the ways in which we buy/sell (or otherwise trade) the secrets of each other in this day and age. Although I think these practices are fueled by the understandable human trait of curiosity, I think we have lost a bit of perspective as we have allowed our secrets (and, by extension, those who hold them) to hold a sort of power over us that, although socially constructed, is attributed to the secret itself. In this, we surely must be careful as the informational basis of secrets undoubtedly possesses the potential to affect us but my point here is that the information itself does not contain the power, rather power manifests in people’s reaction to, and relationship with, the information. Young people handle dystopia every day: in their lives, their dysfunctional families, their violence-ridden schools. Today, more than ever, individuals are awash in a sea of information that swirls around us invisible as it is inescapable. In many ways, we are still grappling with the concept as struggle to sort, filter, and conceptualize that which surrounds us. We complain about the overbearing nature of algorithms—or, perhaps more frighteningly, do not comment at all—but this is not the first time that Western society has pondered the role and influence of information in our lives. Access to information provides an important thematic lens through which we can view dystopic fiction and although it does not account for the entirety of the genre’s appeal in and of itself (or, for that matter, the increase in its popularity), we will see that understanding the attraction of dystopia provides some insight into the the societies that produce it and elucidates the ways in which the genre allows individuals to reflect on themes present in the world around them—themes that are ultimately intimately connected with the access and flow of information. My interest here lies specifically in YA dystopic fiction and its resonance with the developmental process of teenagers. Lois Lowry’s quote suggests that today’s youth might be familiar with tangible aspects of dystopia even if they do not necessarily exist in a state of dystopia themselves; dystopia, then, is fundamentally relatable to youth. 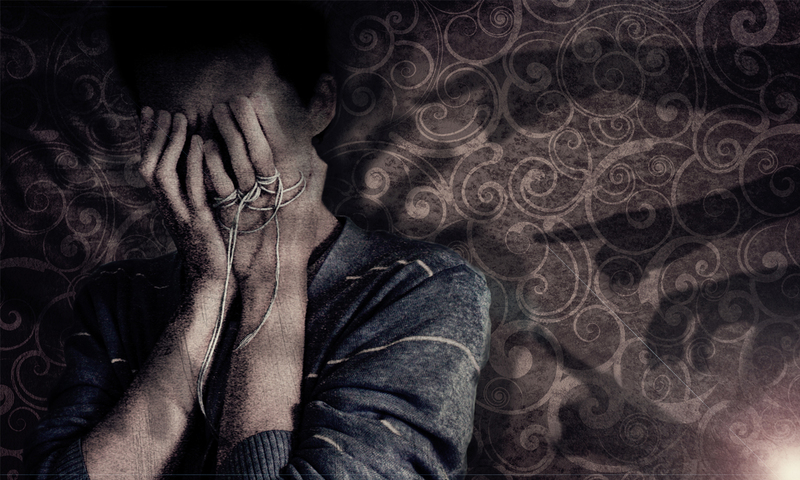 Interpersonal violence in schools—on both the physical and virtual levels—has become a growing problem and can be seen as a real life analogue to the war-torn wastelands of YA dystopia; although the physical destruction present in fiction might not manifest in the everyday, youth may identify with the emotional states of those who struggle to survive. And, given the recent and high-profile nature of bullying, issues of survival are likely salient for modern youth. As a writer, it should come as no surprise that Lowry, like literary critic Darko Suvin, primarily describes the concept of dystopia in literary terms; while a valid, if limited perspective, this does not preclude the term also possessing socio-political implications, with one potentially arguing that the relatable nature of dystopia extends far beyond the iterations outlined by Lowry into the realm of ideology. On a basic level, dystopia often asks protagonists to perform a type of self-assessment while simultaneously evaluating preexisting hierarchal structures and systems of authority. Given that this process asks individuals to contrast themselves with the society that surrounds them, one might make the argument that the themes of utopia and dystopia possess an implicit political element, regardless of authors’ intentions. 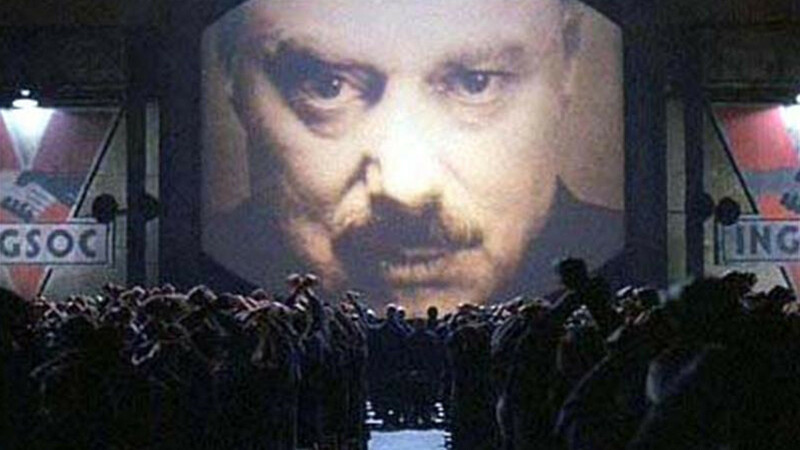 Moreover, consider the prevalent construct of the secret as a defining characteristic of dystopian societies like those presented in the classic works of Brave New World and Nineteen Eighty-Four. Often located in the cultural history of the dystopia (e.g., “What events caused us to reach this point?”) or the sustained lies of the present (e.g., “This is for your protection”), acquisition of new (hidden) knowledge represents a fundamental part of the protagonist’s—and, by extension, the reader’s—journey. For young adults, this literary progression can mirror the development occurring in real life as individuals challenge established notions during the coming-of-age process; viewed through the lens of anthropology, dystopian fiction represents a liminal space for both the protagonist and the reader in which old assumptions and knowledge are questioned during a metaphorical rite of passage. , And, although the journey itself provides a crucial model trajectory for youth, perhaps more important, however, is the nature of the secret being kept: as Lowry alludes to, modern youth undoubtedly realize that their world—our world—like that of any dystopia, contains elements of ugliness. The real secret, then, is not the presence of a corrupted underbelly but rather why rot exists in the first place. Aside from the type of knowledge or even the issues latent in its accessibility, however, we can see that modern culture is undergoing a rather radical reconfiguration with regard to the social structures surrounding information flow. Although we still struggle with the sometimes antagonistic relationship between citizens and the State mirrored in classic and YA dystopia, we have also developed another dimension: citizen versus citizen. Spurred on by innovations in technology that have made mobile gadgetry increasingly affordable and accessible to the public, on-location reporting has grown from the relatively useful process of crowdsourcing information to a practice that includes surveillance, documentation, and vigilante justice as we display our moral outrage over someone else’s ungodly behavior through platforms like paparazzi photos, tweeting of overheard conversations, and the ever-popular blog—we, in effect, have assumed the mantle of Big Brother. It would seem that, like Dr. Moreau, we have been granted knowledge and ability without wisdom. Moreover, let us consider how youth currently exist in a culture of confession that was not apparent during previous cycles of utopia/dystopia. 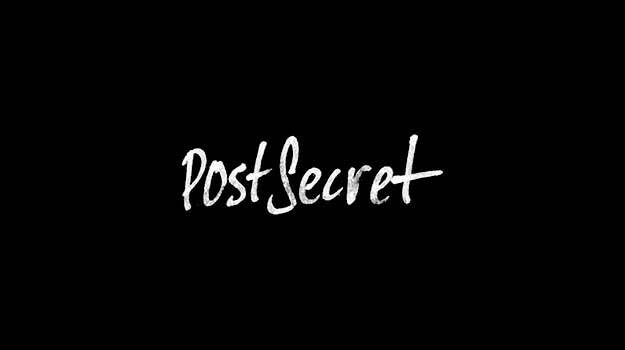 Spurred on in part by daytime talk shows, reality television, press conference apologies, and websites like PostSecret, the current environment is suffused with secrets and those willing to share their intimate stories for a price. Somewhat in opposition to confession’s traditional role in Catholicism, secrets now play an active role in public life despite their private nature, a process that mirrors the juxtaposition of personal and public histories by protagonists in YA dystopia., Moreover, we quickly come to see the increased relevancy of this trend when we consider how individuals, groups, organizations, and societies begin to define themselves in terms of the secrets that they hold about others and themselves. The prevalence of events like corporate espionage, copyright infringement lawsuits, and breakdowns in communication between youth and parents all point to entities that wish to contain and restrict information flow. If being an American in the 20th century meant being defined by material possessions, being an American in the 21st century is to be defined by information and secrets. And, if this is indeed the case, how might we view our existence as one that occurs in a series of ever-expanding dystopias? As it turns out, Lowry might have been more correct than she realized when she noted young people’s familiarity with dystopia. But perhaps this development is not so surprising if we consider the increasing commodification of knowledge in postmodern culture. If we ascribe to Jean-Francois Lyotard’s argument regarding the closely intertwined relationship between knowledge and production—specifically that the cultivation of new knowledge in order to further production—and therefore that information sets are a means to an end and not an end in and of themselves, we witness a startling change in the relationship between society and knowledge. In opposition to the idealistic pursuit that occurred during the Enlightenment period, modern conceptualizations seem to understand knowledge in terms of leverage—in other words, we, like all good consumers, perennially ask the question, “What can you do for me?” Furthermore, the influence of commercialism on Education (i.e., the institution charged with conveying information from one generation to the next) has been probed, conjecturing that educational priorities might be dictated by concerns of the market. Notably, these cultural shifts have not disavowed the value of knowledge but have changed how such worth is determined and classified. The Frankfurt School’s pessimistic views of mass culture’s relationship with economic influences and independent thought aside, Lyotard also points to the danger posed by the (then) newly-formed entity of the multinational corporation as a body that could potentially supersede or subvert the authority of the nation-state. 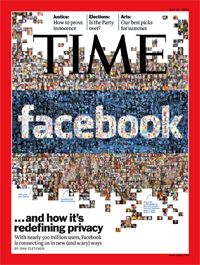 Businesses like Facebook and Google accumulate enormous amounts of information (often with our willing, if unwitting, participation) and therefore amass incredible power, with the genius of these organizations residing in their ability to facilitate access to our own information! Without castigating such companies—although some assuredly do—we can glimpse similarities between these establishments’ penchant for controlling the dissemination of information and the totalitarian dictatorships prevalent in so many dystopian societies. In spite of the current fervor surrounding the defense of rights outlined in the Constitution, we largely continue to ignore how companies like Google and Facebook have gained the potential to impact concepts like freedom of assembly, freedom of speech, and freedom of information; algorithms designed to act as filters allow us to cut through the noise but also severely reduce our ability to conceptualize what is missing. These potential problems, combined with current debates over issues like privacy, piracy, and Net Neutrality indicate that power no longer solely resides in knowledge but increasingly in access to it. Lois Lowry, quoted in Hintz, Carrie, and Elaine Ostry. Utopian and Dystopian Writing for Children and Young Adults. (New York: Routledge, 2003). One might even argue that those who read dystopian fiction most likely do not inhabit a dystopian world, for they would not have the leisure time to consume such fiction. This point, of course, should not be taken in a manner that discounts the legitimate struggles of children who grow up in conflict states. See Ken Rigby, New Perspectives on Bullying. London: Jessica Kingsley Publishers, 2002and Marilyn A. Campbell “Cyber Bullying: An Old Problem in a New Guise?” Australian Journal of Guidance and Counseling 15, no. 1 (2005): 68-76. Clare Archer-Lean, “Revisiting Literary Utopias and Dystopias: Some New Genres.” Social Alternatives 28, no. 3 (2009): 3-7. Kennon, Patricia. “‘Belonging’ in Young Adult Dystopian Fiction: New Communities Created by Children.” Papers: Explorations into Children’s Literature 15, no. 2 (2005): 40-49. Patrick Parrinder, “Entering Dystopia, Entering Erewhon.” Critical Survey 17, no. 1 (2005): 6-21. Hintz and Ostry, Utopian and Dystopian. 2003. Parrinder, “Entering Dystopia, Entering Erewhon.” 2005. John Stephens, “Post-Disaster Fiction: The Problematics of a Genre.” Papers: Explorations into Children’s Literature 3, no. 3 (1992): 126-130. Jean-Francois Lyotard, The Postmodern Condition: A Report on Knowledge. (Manchester: Manchester University Press, 1979). Suzanne de Castell and Mary Bryson, “Retooling Play: Dystopia, Dysphoria, and Difference.” In From Barbie to Mortal Kombat, edited by Justine Cassell and Henry Jenkins. (Cambidge: The MIT Press, 1998). Lyotard, The Postmodern Condition. 1979. 2005 was the year that I became a fan. It was a year full of turmoil for me: within a few months I had graduated from college, learned how to bribe Mexican police, started a serious relationship, started a new job, and moved. Quite a lot for a 22-year-old with plenty of education but no real life skills. 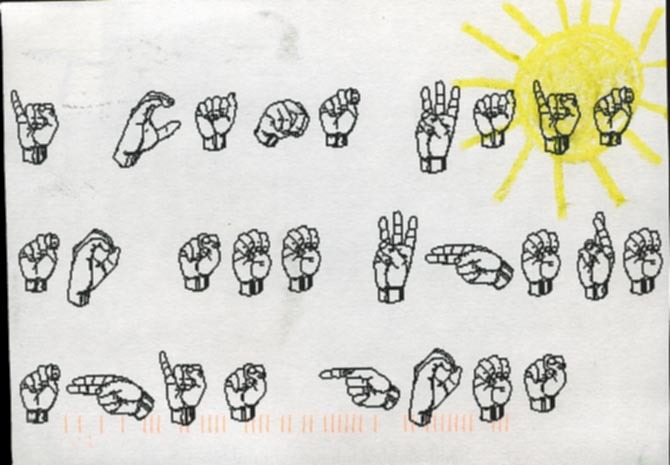 PostSecret started out as an art project in 2005 that simply asked people to submit a secret anonymously on a decorated postcard. These secrets were then published on the Internet through the PostSecret blog or in a series of books. No real guidelines were given to participants—they merely had to reveal something about themselves that they had never shared before. I soon found myself anxious as I waited for the weekend to roll around, specifically Sunday morning, bringing with it a new batch of secrets. I was fascinated with the statements on these cards. Many of the images reflected my own fears and hopes (some I didn’t even know I had) and ranged in topic from secret crushes to quiet crises to guilty consciences. 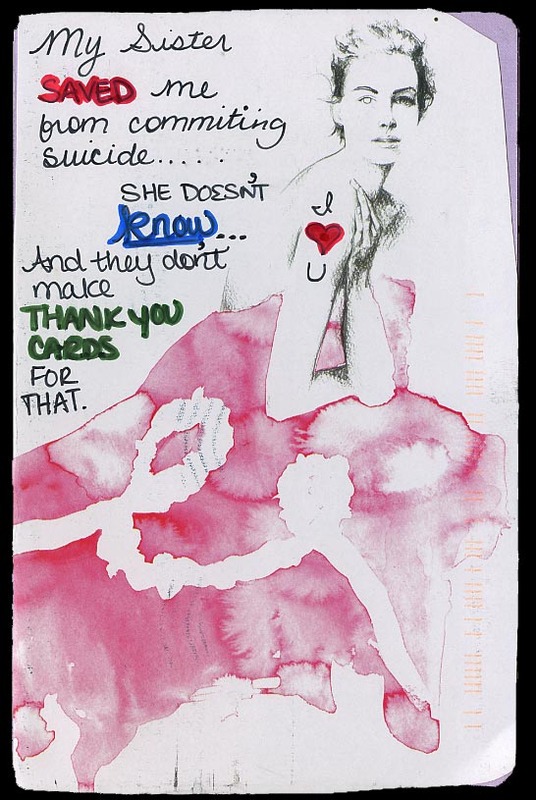 Despite its humble beginnings, PostSecret has developed into a full-fledged community with over 300 million site visits, eventually resulting in a movement with an interest in suicide prevention. Although some members surely embrace this philosophy more than others, the director, Frank Warren, has occasionally mobilized the group in support of the Kristin Brooks Hope Center and its teen crisis line. We can measure civic engagement by the number of dollars raised for suicide prevention, but we can also think about how this particular community has allowed for the development of an individual’s empathy. This group has permitted members to feel what it means to be a part of a community and surely that has some value in developing the skills necessary for participatory culture. Movements like PostSecret have the power to allow our young people to realize how they relate to others in society. A year after I saw this image, my friend’s brother killed himself. This card, written by an anonymous stranger, allowed me to connect with my friend in a way that had previously seemed impossible. An only child, I had no idea what it was like to lose a sibling, much less to have a loved one commit suicide. But this card—this image—elicited feelings that are the closest that I will get to understanding my friend’s pain in that moment. Seeing that card allowed me to engage in a dialogue instead of being scared or overwhelmed. Seeing that card pushed me to work though a script in a space where I felt safe to explore my emotional limits. Being a fan of this community had equipped me to handle this unforeseen situation and gave me tools that afforded action. This, on a very personal level, is the potential power of fandom. Participation in this community can cause members to undergo a paradigm shift as they see the world through entirely different lenses. My inherent cynic and college admission officer wonders if these sorts of affiliations result from mystique or ambiance rather than inherent virtue. I’d argue that, in some ways, young people have become much better at manipulating their image and that the joining of these clubs can represent a form of brand management; students leverage their brand in order to gain social capital. Communities of participation like PostSecret develop their own knowledge base but also a common language and a shared understanding. Projects like these brand themselves and their participants as part of a movement—affiliation with the group implies that you have incorporated certain things into your identity. Shine as Though You Never Had Any Doubt. It hung there, slightly faded and more than a little wrinkled. Nestled among bright advertisements for football and spirit rallies lay a humble flyer, no larger than a quarter of a page, that caught my attention. My ascent up the stairs to the college counseling office slowed as I reached out to touch the rough surface of the advertisement. So humble, so easy to miss, but yet the most powerful thing on the bulletin board—this was the thing that mattered the most (yes, even more than football). 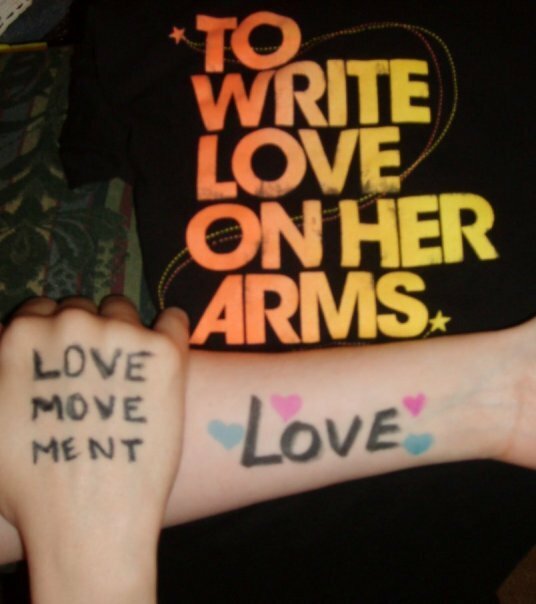 During my presentations, I often make it a point to bring up things like “To Write Love on Her Arms” or “PostSecret” as I feel that these are important tools that allow me to connect with my audience. Through these websites and stories, I remember the stresses and the pressures of friends, of parents, and of school. Admittedly, I am a young professional and while I can generally relate to being a high school student (I was one at one point in my life), things like PostSecret vividly remind me of what it is like to be a junior or senior in high school. 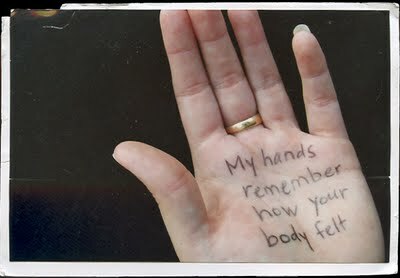 If nothing else, PostSecret has taught me that everyone has a secret that, if told to me, would break my heart. This has changed the way that I look at the world. One of the things that I have learned in my years of college admission is that an increasing number of students are suffering from something that I call “floating duck syndrome”—on the surface, students are serene and perfect but, underneath the water, their legs are churning. Needless to say, students have some issues. I don’t mean to imply that students will not be able to overcome these things, but I must admit that I was shocked to learn about what they were dealing with. For this reason, I find myself absolutely thrilled when high schools have groups like “To Write Love on Her Arms” because I think that so many of our students can use an outlet. I am certain that individuals are dealing with various amounts of baggage (or maybe not at all) and I am so glad that St. Margaret’s has taken it upon itself to offer support for peers in need; whether the situation revolves around academic pressure or thoughts of self-harm, I see clubs like “To Write Love on Her Arms” as an invaluable part of the school community. However, lest one become depressed, I should mention that I am incredibly hopeful for the generation of students that is following in my footsteps. I am hopeful that students will learn to brave the dark places of themselves, secure in the knowledge that friends and family will always be there to draw them back. I am hopeful that students will come to understand who they are and accept themselves for that. And, I am hopeful that students will learn to step outside of themselves in order to offer their help to those in need. I am lucky to be in a situation where I can empower future students to realize that, although occasionally overwhelmed by adversity, they are all survivors in some respect: any person who has ever been teased, ridiculed, outcast, or made to simply feel less than is a survivor and can embrace that. And, because you are a survivor, you have been imbued with the power to tell your story to others in similar situations in order to pull them through. Ultimately, I am also hopeful because I have learned that young people are incredibly resilient and innovative—they can accomplish some amazing things if given half a chance. Applicants to the University sometimes want to get inside my head and to gain insight about the college admission process. Often, people want to know how to get in, how to make an impression, and how to stand out from their peers. I will be honest and say that a clever title on your essay or photos of you in USC garb is not the most effective means; tell me a compelling story, however, and I will be hooked. I understand that this process is difficult, particularly for young writers, but one of the things that sets you apart from all other applicants is the truth of your story. Believe it or not, I want to learn more about you as an individual and these sorts of stories are the ones that I love to hear. These tales do not always have to be tragic or morose—I love the stories of triumph as well—but I would encourage all of you to dig down deep and figure out your narrative. I am fully aware that this process of self-discovery is quite scary (who knows what you might find?) but rest assured that college admission officers are not in the position to judge you and we are not laughing at you behind your back; instead, I believe that students who are brave enough to open up should be rewarded. I am hopeful that this piece has given you more of a sense of not only what matters to me and, perhaps more importantly, why these things matter. I want to convey that the admission process is human and that we care more deeply for you than you might realize. We, along with your college counselors, are fighting for you to realize your potential and it is my profound hope that we can make this inherently frightening process less scary; I hope that we have made it easier for you to venture out into this sometimes daunting landscape of college admission and shine as though you never had any doubt. Chris is in his fifth year with the Office of Admission at USC and also studies the intersection of popular culture, media, and online communities as a Masters student in Annenberg. When not on campus, Chris spends his time blogging or volunteering for 826LA in an effort to use his meager writing talents for social good. Chris is excited to write for the St. Margaret’s community and always welcomes any invitation to drink overpriced coffee while discussing the cultural merits of Six Feet Under, True Blood, or Gossip Girl. PostSecret raises a number of questions for me, specifically how the community art project reflects our current culture of confession. In particular, my work has focused my attention on youth and I often wonder how the current state of media might have affected the success of a movement like PostSecret. Growing up, I remember watching the first seasons of The Real World and Road Rules on MTV (yes, I’m that old) and was always entranced by the confessional monologues. As a teen, the confessionals possessed a conspiratorial allure, for I was now privy to insider information about the inner workings of the group. However, looking back, I wonder if this constant exposure to the format of the confessional has changed the way that I think about my secrets. The confessional format has become rather commonplace on the slew of reality shows that have filled the airwaves of the past decade and the practice creates, for me, an interesting metaphor for how Americans have to come to learn to deal with our struggles. 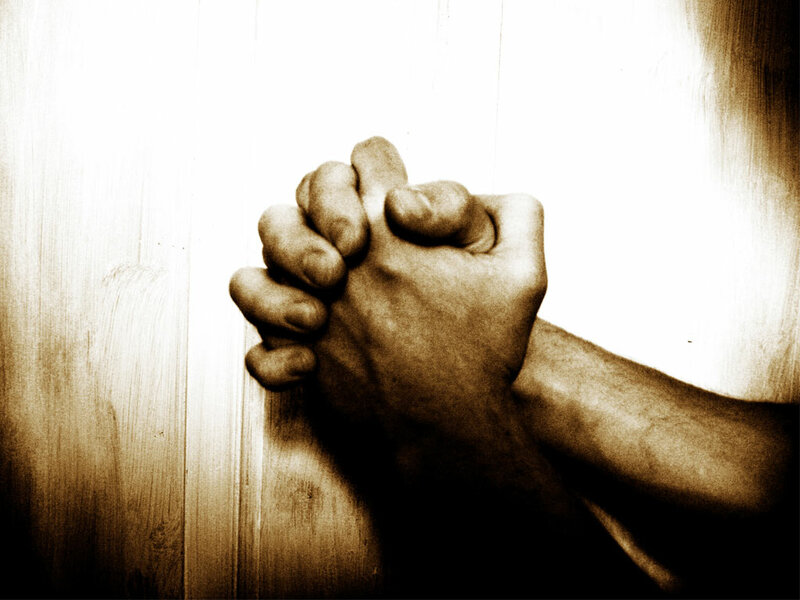 As confessors sit in an isolation booth, they simultaneously talk to nobody and to everybody; place this in stark contrast to the typical connotation of “confession” and its associated images of an intimate discussion with a priest. PostSecret, in some ways, is merely a more vivid take on this practice of reality show confessions; we hold our secrets in until we get the chance to broadcast them out across the interwebs. We oscillate between silence and shouting—perhaps we’ve forgotten how to talk? As Shannon mentioned, we might tend to our secrets, keeping them safe because we derive our identity from the things that we hide. We are desperate to make connections, to find validation, and to be heard. Connection and validation are things that PostSecret definitely provides, but the development of the Voice is perhaps the reason that I am simply in love with the project. In its own way, PostSecret allows participants to declare and refine their identities but also allows individuals to see that their voices matter and are heard. I often work with young writers and one of the things that strikes me the most is that many of these children do not believe that they have anything to say or that no one cares about their point of view. Breaking this preconception takes some time, but some students are able to realize the unique power that they wield and leverage their Voices to create potent statements. Should you find yourself with five minutes to kill, I encourage you to head over to the blog. Seeing the secrets presented on the site have changed my life.